Working with renowned golf course architect Pete Dye, Commissioner Deane Beman created a course design that favoured no particular player or style of play. The result is a truly balanced course. Players find a selection of short, medium and long holes within the categories of par-3s, par-4s and par-5s; both right and left doglegs; and a course routing laid out so no two consecutive holes ever play in the same direction. 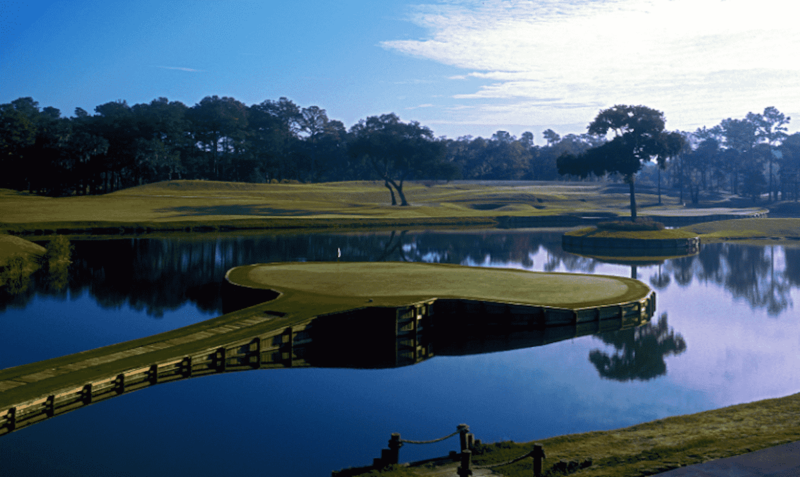 With its signature island green on the par-3, the 17th hole being one of the most recognized in golf, this legendary track has captured the imagination of golf fans all over the world and is consistently named among the top golf courses worldwide. 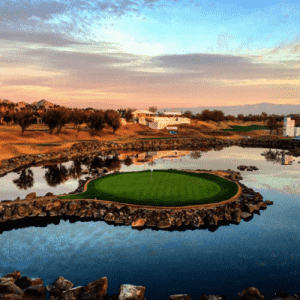 While the 17th hole gets a lot of attention, the 18th hole on this golf course – a 462-yard, par 4 guarded by water down the left side, is a formidable finishing hole.